Vehicle to be offered for Auction sale WITHOUT RESERVE and SOLD to the highest bidder, January 18th � 22nd, 2012 at Russo and Steele\’s 12th Annual Scottsdale Arizona Auction. Please contact us for more information. 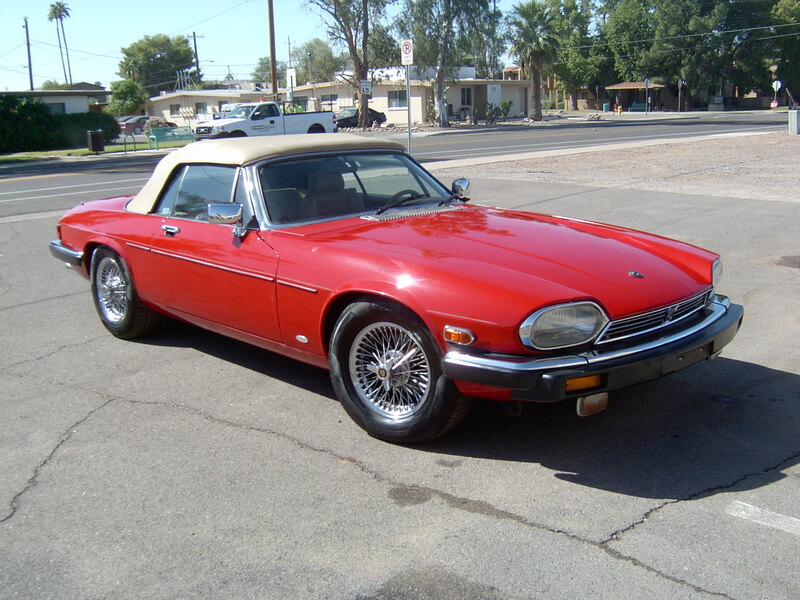 This pristine two owner 1988 Jaguar XJS convertible features factory chrome wire wheels, brilliant red exterior, extremely nice tan leather interior and a tan canvas top. With a 5.3L and 12 cylinder engine this beauty is ready to drive!